← Was That a BEAR I Saw Walking to School? 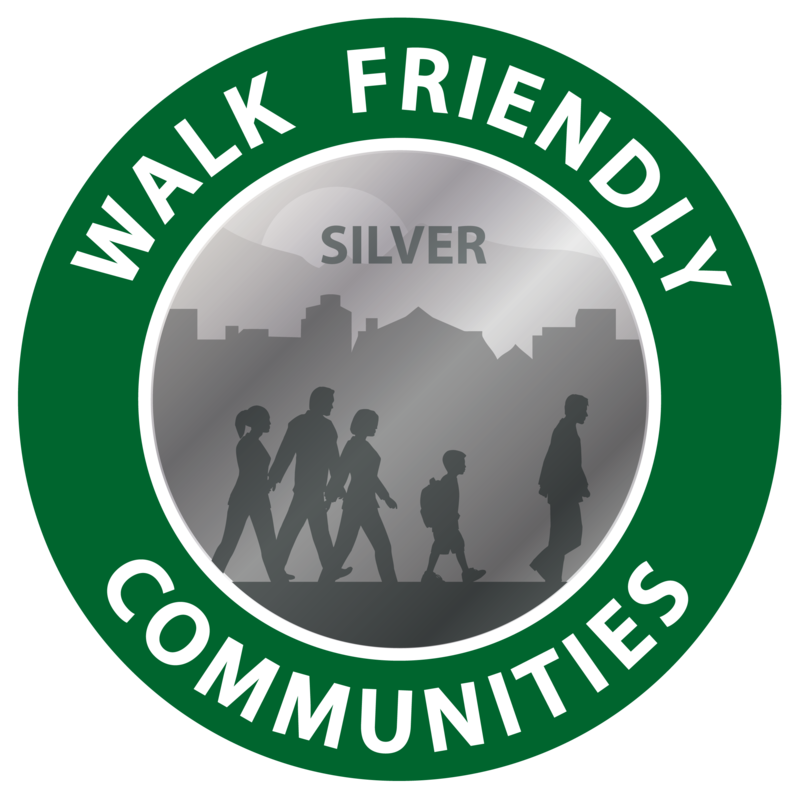 City of Decatur Re-designated as Silver Walk Friendly Community! The Pedestrian and Bicycle Information Center has re-designated the City of Decatur a Silver Walk Friendly Community for its walkability initiatives and programs. Sponsored by the U.S. Department of Transportation Federal Highway Administration and FedEx, Walk Friendly Communities is a national recognition program aimed at recognizing communities for their commitment to pedestrian safety. The City of Decatur, with a population around 20,000, has a strong commitment to improving pedestrian issues and walkability. All City departments work together to achieve this goal. Decatur Active Living offers a variety of programs to get the community out walking including Team Decatur, Walk With a Doc, Bright at Night Walks and Sunday Strolls. The City also has a very strong Safe Routes to School Program that is a model for the state. The committee was also impressed with the new Unified Development Ordinance and the Downtown Decatur Streetscape Design Guidelines which help ensure that the city will continue on with its dense development pattern and active uses that attract pedestrian travel. To read more about the City of Decatur’s designation, click here. The City of Decatur is among three communities recognized in the latest round of Walk Friendly Communities announced. The Walk Friendly Community designation, awarded from bronze to platinum, is given to applicant communities that have demonstrated a commitment to improving and sustaining walkability and pedestrian safety through comprehensive programs, plans and policies. To date, 57 communities in the U.S. have been designated as Walk Friendly Communities. For more information on Walk Friendly Communities, please visit http://www.walkfriendly.org. One Response to City of Decatur Re-designated as Silver Walk Friendly Community! Congratulations! Of all the factors that entice people to walk more, two are most important: the likely presence of other people and having places worth walking to. And to the delight of people who enjoy walking, Decatur is a big winner on both!